Arch Rivals is suitable for even the inexperienced archer. 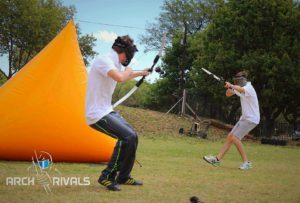 Arch Rivals is the Archery equivalent of Paintball and involves elements of Dodgeball and Laser Tag. 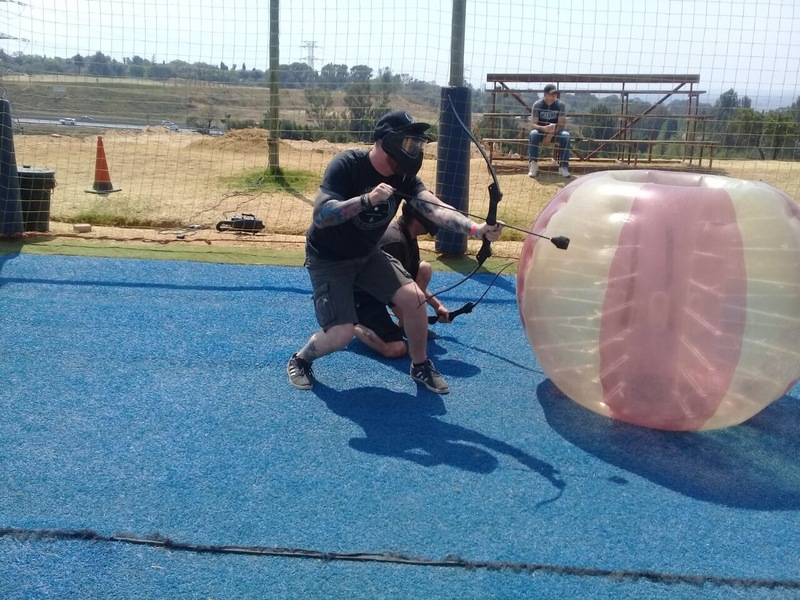 We provide an inflatable battlefield and all playing equipment, including full paintball mask, real recurve bows, target spots and foam tipped ‘LARP’ safety arrows. This brand new game to South Africa has the potential to become the next craze. 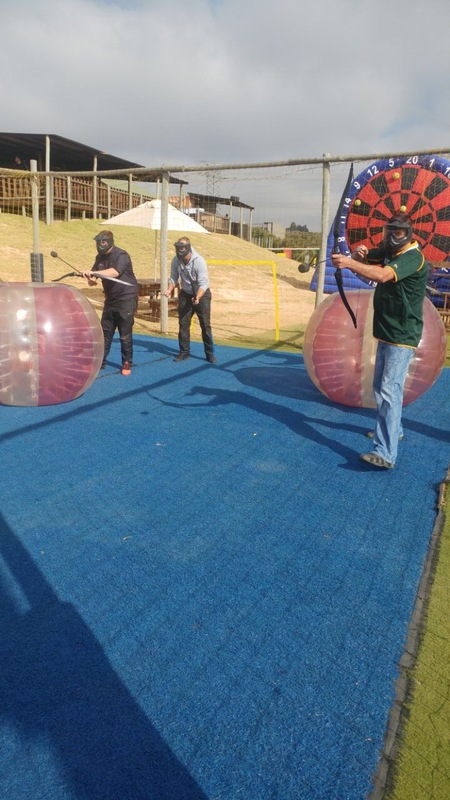 We have equipment that caters to teenagers through adults. 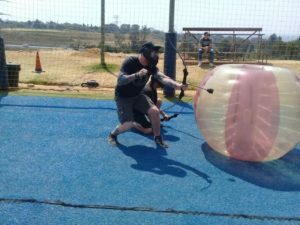 The impact of the arrows are less painful than paintball, but still enough of an impact to get your adrenaline flowing while playing. 1hr of bubble soccer & 1hr of Arch rivals. 1hr of Arch rivals & target shooting. 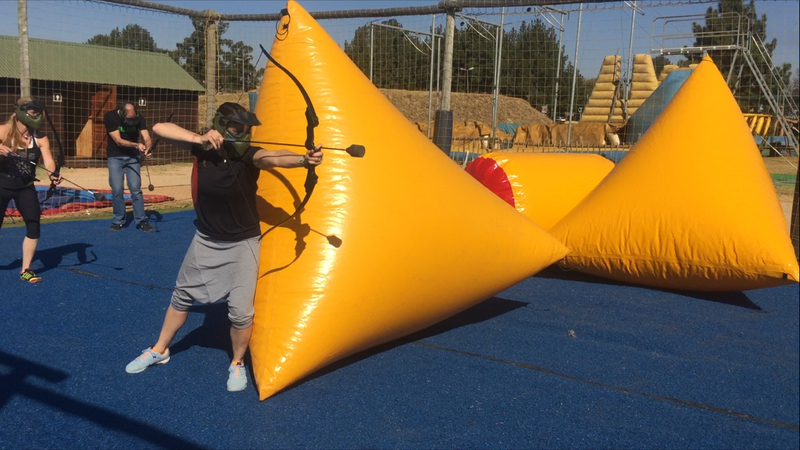 The most popular game format for Archery Warz follows the same elimination process as Dodgeball, with a few variations. If you get hit, you head to the sidelines and then there are a couple of ways to be brought back in by your team mates. There are no targets and no way of coming back in. Once you are hit, you are out for the rest of the game. In this game mode, the 5 spot targets are removed. You start with two opposing teams and if a player is hit, they become commit Treason and join the other team. The winning team ends up with everyone on their side. Each team has a doctor. When a player is hit, they must sit in their position. The doctor's role is to 'heal' his team's players by tagging them back to life. A game is won when the opposing doctor is hit. When a player is hit, they go to 'prison', which is an area behind the opposition's end. They lay down their bow and the only way back into the game is to catch an arrow show by their team mates. 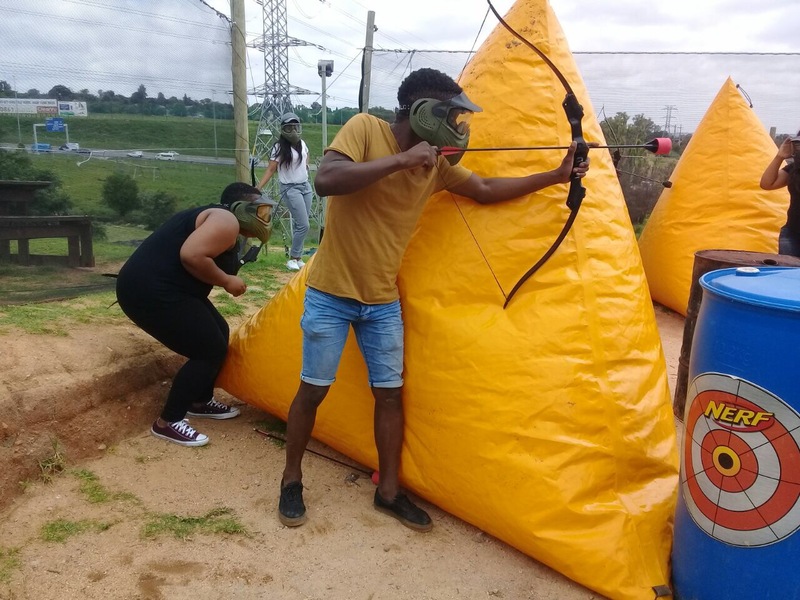 The same as Prison Break, except players keep their bows and can use arrows sent by team mates to hit an opponent so as to re-enter the game. There are four teams divided into equal quadrants. Players are eliminated by being hit. The team that eliminates the last player from a quadrant then takes over that quadrant. A team wins by eliminating all of their opponents. A pair or more of shooters are chosen and a remaining group (usually 6) of players are divided into Bucks and Does. Usually they wear different colour masks or a headband. The group gather 10-15 metres up court from the shooters. They then attempt to run across, leaving at least two seconds apart. If the shooters fail to hit a Buck or hit a Doe at any point, their turn is over. A shooter or pair of shooters is chosen. The remaining group make a dash for the other end of the court, trying to avoid being hit. If a player is hit, they join the shooting team. The winner is the last runner left. We can bring Arch Rival wars to you. We operate a fully mobile service across Gauteng. We can help you source a location or you can use some of the previous locations we have used around town! 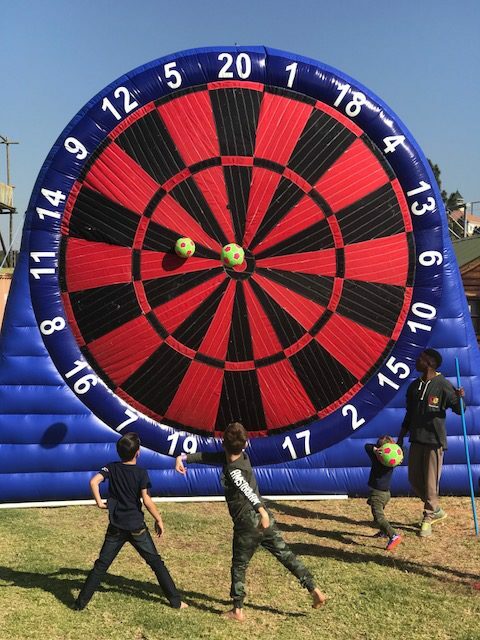 Some examples of ideal Archery Warz locations are tennis courts, open parks/ovals, reserves, indoor sports courts, function rooms, and convention centres.